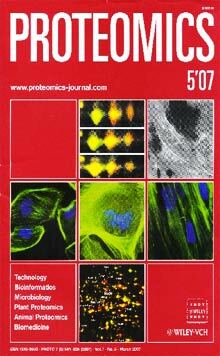 Denys Drash Syndrome podocytes on the cover of the journal Proteomics. I am interested in RNA biology, a growing area of research that includes RNA processing; alternative splicing; mRNA export, translation and localisation; mRNA stability; RNA interference and microRNAs. The focus of my research group is on alternative splicing. Alternative splicing is the main process through which genes can express multiple protein isoforms. Over two thirds of human genes are alternatively spliced and it is estimated that 15% of all disease-associated mutations in humans affect alternative splicing. 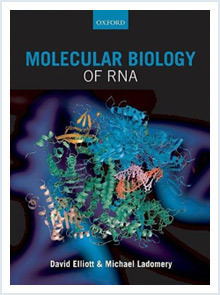 Textbook: The Molecular Biology of RNA. Elliott and Ladomery. First edition published in 2011, Oxford University Press. Second edition published in 2016. Click on the title to view the abstract. Interested in a self-funded PhD studentship? From time to time, depending on grants, PhD studentships are available in my lab. However I am also happy to consider a self-funded (or part self-funded) PhD studentship at any time. 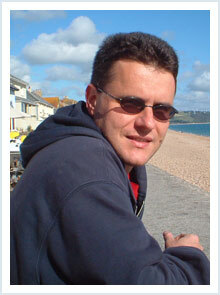 Read more about the self-funded PhD studentship.